Our team of professionals has been proudly serving residents from Wyandotte, Johnson, Leavenworth, Douglas, and Shawnee Counties since 1986. Whether you are 2-years or 90+ years old, our mission is to gain your trust and confidence by providing a variety of dental services at a reasonable price. Family dentistry at our practice not only includes cleanings, extractions, dentures and implants, crown and bridge, but also pediatric, cosmetic, emergency, and sports dentistry. Your time is precious and we respect that. Our in-house lab allows us to offer same day dentures at an affordable price. Our dentists have over 60 years combined experience and offer the latest treatment options including dental implants. From low-radiation (digital) X-rays to dental implants, we offer the latest procedures and use the latest technologies. 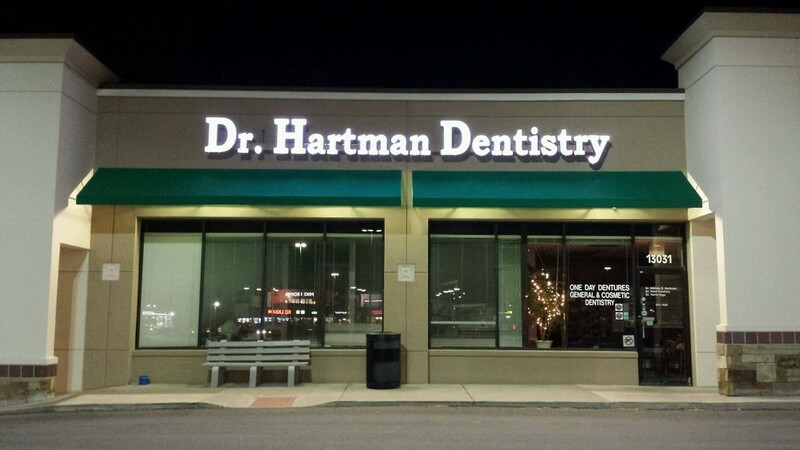 We accept cash, check, credit cards, insurance, Care Credit, and our Dr. Hartman Premium Plan.